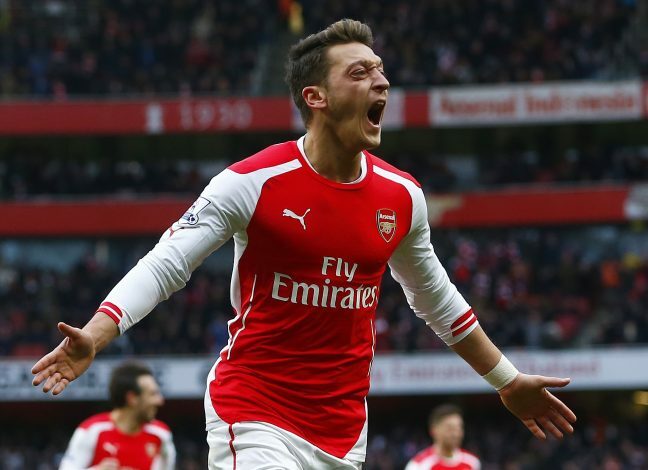 It’s now or never for Arsenal, who are keen on holding on to superstar Mesut Özil. However, despite keeping the German at the Emirates being among the club’s best interests, the Londoners are willing to sell him should he not sign an extension before the January window opens. According to The Sun, Özil is reportedly “very, very close” to penning a new deal at North London after a remarkable breakthrough in negotiations. Further, the World Cup winner also looks close to marrying his fiancé, and has bought a brand new house in London, which the Gooners have speculated to be signs of his wish to stay. On the other hand, the German international has managed to make a stunning return to his magical form, and was the key player in almost all of his side’s last 5 competitive fixtures. Moreover, the midfield maestro has also secured 2 goals and 5 assists in a relatively meagre 10 starts in the Premier League. However, it was also reported that the former Schalke man is adamant on increasing his current £140,000-a-week wages, and is also reportedly asking for a signing-on bonus. Nevertheless, if a deal is not reached between the two negotiating parties, the London outfit is open to offloading the Turkish-born midfielder, with Barcelona as well as former manager Jose Mourinho keen on securing his services. As of now, the 29-year-old has a significant chance of putting the idea of a switch on hold. Unfortunately, the same cannot be said in the case of Alexis Sanchez.